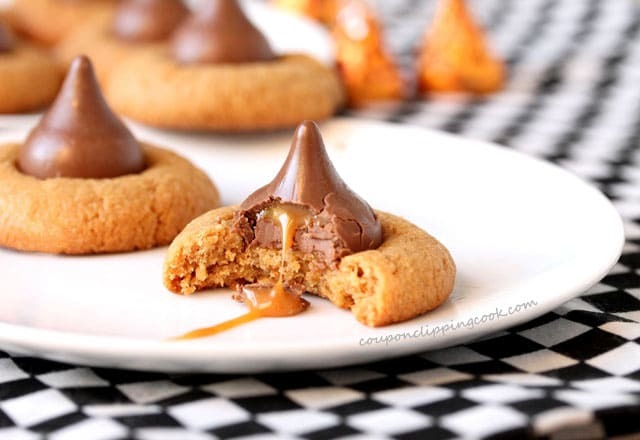 Get some “you” time back in your day and make these delightful peanut butter and caramel kiss cookies that have only 4 ingredients and are simple as can be to make. It’s that baking time of year where homemade cookies start to show up on plates at work, at parties, and in holiday gift packages. These peanut butter cookies are my go-to homemade cookies when I’m pressed for time and am just plain old too tired to get involved with too much baking. What is so great about these yummies is that they’re made with only 4 ingredients. And that’s counting the chocolate candy kisses. Although these cookies are small, they’re super rich and delicious. 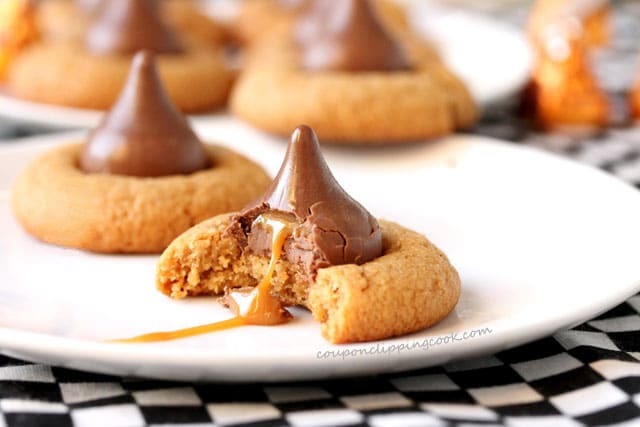 The middle of the cookie is slightly soft and the caramel inside the candy kiss is a tasty added bonus. I love how pretty these cookies look on a plate for the holidays especially when a few candy kisses in colorful foil wrappers are added for decoration. They also provide a nice contrast when included on a plate of assorted holiday cookies. 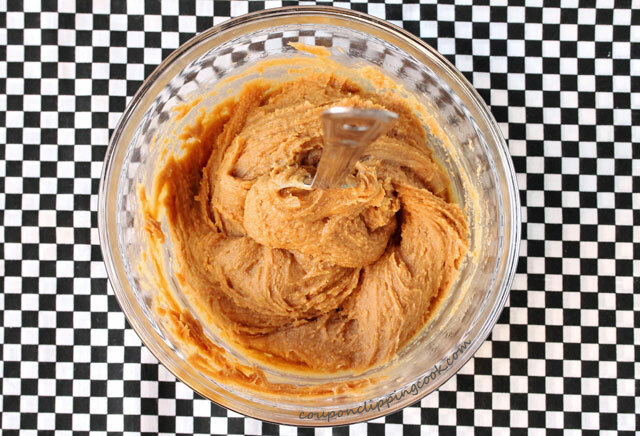 add the peanut butter, sugar and eggs. With a large sturdy spoon, mix together until incorporated and a dough forms. Roll the dough into small balls (slightly smaller than a whole walnut). TIP – If the dough sticks to your hands, lightly dust your hands with flour. Lay each ball of dough spaced apart, on an ungreased cookie sheet. 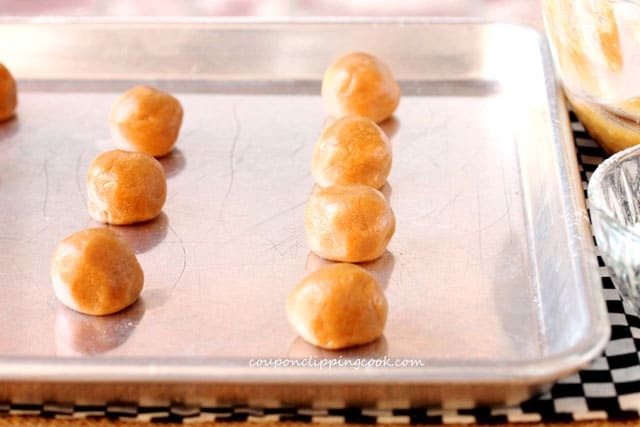 TIP – If using a half sheet-size cookie pan (18 x 13 inches), 18 balls of dough should fit per pan. TIP – If using one cookie sheet, it will take 3 batches to bake all of the cookies. While the cookies are in the oven, unwrap the candy kisses. TIP – An option is to unwrap just enough for each batch in case it turns out that less than a total of 54 (18 x 3 batches) cookies are made. Bake just long enough for the bottom of the cookies to turn a golden color and the middle to be slightly soft (about 15 minutes). TIP – Be careful not to let the cookies bake too long (brown around the outside edges) or they’ll be on the dry side. 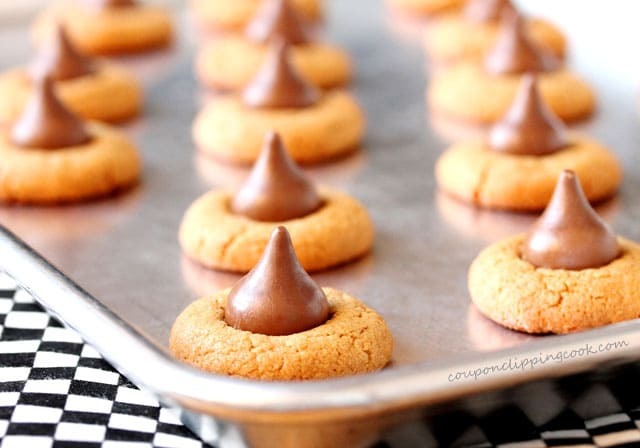 Right after removing the cookies from the oven (while they’re warm and still on the cookie sheet), gently push a candy kiss slightly into the top of each cookie. …the candy kiss won’t stick (to the cookie). 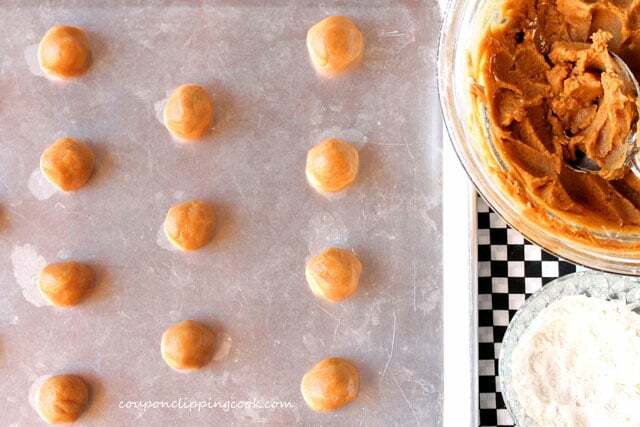 Get some "you" time back in your day and make these delightful peanut butter and caramel kiss cookies that have only 4 ingredients and are simple as can be to make! 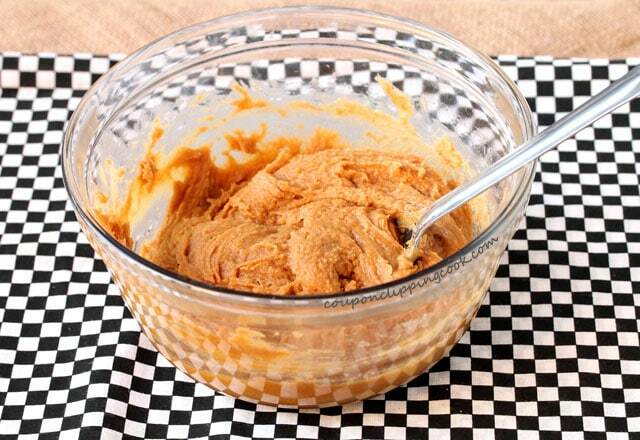 In a medium size bowl, add the peanut butter, sugar and eggs. 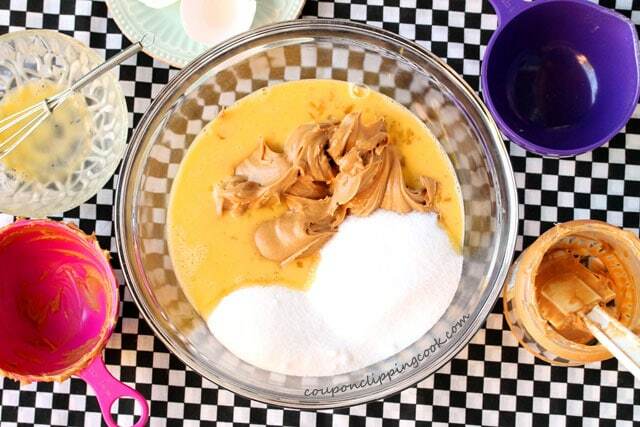 With a large sturdy spoon, mix together until incorporated and a dough forms. Roll the dough into small balls (slightly smaller than a whole walnut). If the dough sticks to your hands, lightly dust your hands with flour. Lay each ball of dough, spaced apart on an ungreased cookie sheet. If using a half sheet-size cookie pan (18 x 13 inches), 18 balls of dough should fit per pan. Bake in a preheated oven. If using one cookie sheet, it will take 3 batches to bake all of the cookies. 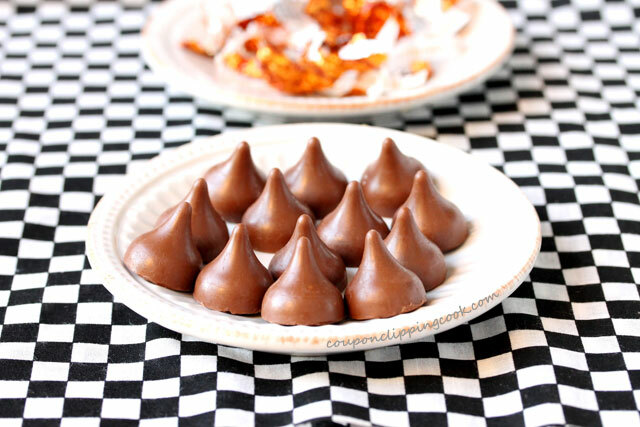 While the cookies are in the oven, unwrap the candy kisses. An option is to unwrap just enough for each batch in case it turns out that less than a total of 54 (18 x 3 batches) cookies are made. Bake just long enough for the bottom of the cookies to turn a golden color and the middle to be slightly soft (about 15 minutes). Be careful not to let the cookies bake too long (brown around the outside edges) or they'll be on the dry side. Right after removing the cookies from the oven (while they're still warm and on the cookie sheet) gently push a candy kiss slightly into the top of each cookie. Do this as soon as possible because if the cookies start to cool, the candy kiss won’t stick (to the cookie). 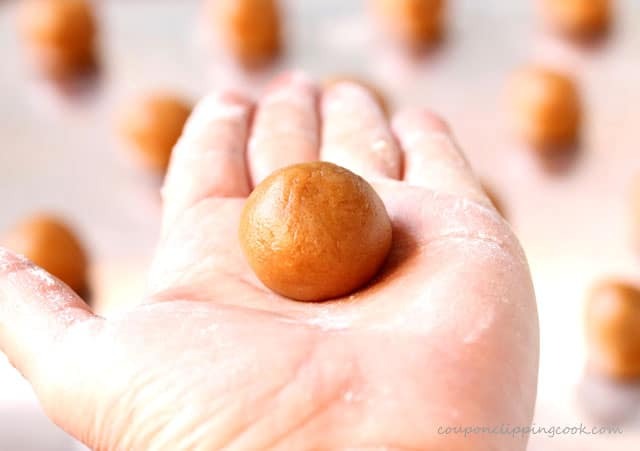 When rolling the cookie dough into balls, if the dough sticks to your hands, lightly dust your hands with flour. 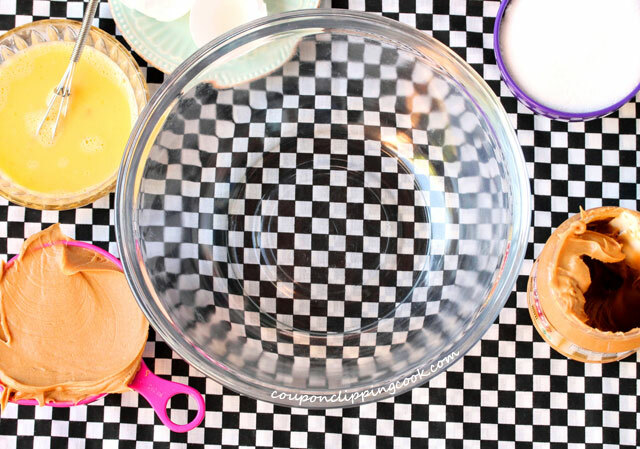 If using a half sheet-size cookie pan (18 x 13 inches), 18 balls of dough should fit per pan. If using one cookie sheet, it will take 3 batches to bake all of the cookies. When unwrapping the candy kisses, an option is to unwrap just enough for each batch in case it turns out that less than a total of 54 (18 x 3 batches) cookies are made (the amount of cookies may vary depending on the size of each dough ball rolled). Be careful not to let the cookies bake too long (brown around the outside edges) or they'll be on the dry side. After the cookies are baked, put a candy kiss in each cookie as soon as possible because if the cookies start to cool, the candy kiss won’t stick (to the cookie).